Breathes there a reader who has not thought, “that IDEA would make for a great novel”? Indeed, if there were as many books as ideas for books, there would not be libraries enough. Or readers. The more prosaic meaning of inspiration has much more to do with giving breath to an idea, animating an idea, making an idea very much more than an idea. I think such thoughts as I start on a new novel. It was SO clear in my head before I wrote a word. Now that I have written that word, plus a few more, I find myself rewriting those words truly countless times, trying to give them life. 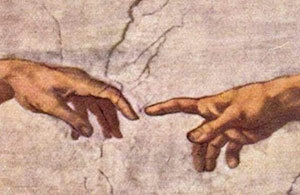 But, at least for me, that rewriting is what gives my work some sense of life. I discover the meaning of my words, my story, only when the words are there to tell me their meaning. It is very much what I recall when my kids started to walk. I would hold them up as they took those first wobbly steps—how they did grin! But when I let go, they plopped down on their butts. Happily, they did not have far to go. Up again—hand in hand—finger in finger—and more steps. But when they do master the skill, it is you that has to run after them, and keep them, as it were, going. The beginning of a book is all that rickety forward movement of little steps. But then, when the prose gains stability, has legs, you must run after what you have wrought. Likewise, before my first son was born I was entranced with the notion that I would finally know one person in their entirety. I would know their moods, desires, attitudes completely. Everything. That presumption lasted, at most, for a week, or ten days. Then I had to struggle hard to understand what this cry, that cry meant. Hunger? Tiredness? Is it, like my first drafts, just gas? Thus, it is, when a character in a book gets going. What is he/she thinking when that happens? How can I show that thought? Bringing life to a novel, to a character, is what writing is all about. But it’s really not the writing: It’s all in the thinking. Inspiration is easy. It’s the perspiration that’s hard. I need to learn that every time I start writing something new. Like millions of Americans, my forebears came from Europe, landed on Ellis Island, and went on to New York City, where they stayed. One of the places they stayed was New York City’s Lower East Side. This was a time when the city had some thirty daily newspapers that were not written in the English language. Amazingly enough, much of the tenement architecture, has remained in place. 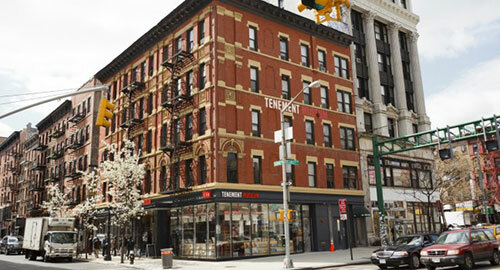 There is even an existing, wonderful Tenement Museum, where I saw and learned a great deal, and which helped me write my novel, City of Orphans, a novel about immigrant life in New York, at the end of the 19th Century. Even I, when I completed university (1960’s), came to live in the area. I could not locate the actual building—one was so much like another. But it was a five floor walk-up, a tiny three-room apartment. In the small kitchen was a bath tub. By placing a wooden board over it I had my kitchen table. Then my old college room-mate arrived. Tenement life. Rent: Thirty-two dollars a month. By all accounts—and there are many accounts and memoirs—at the end of the 19th Century, it was an intensely crowded area, full of life, to be sure, but also full of filth, fires, and disease. Poverty was extreme and rampant. 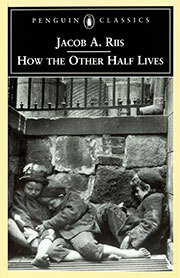 If you want to see what it was like, find a copy of How the Other Half Lives by Jacob Riis, a highly influential photojournalistic account of the city at the time—one of the first books of the kind. Be advised; it is also full of racial bigotry, another staple of the day. The photographs are stunning. When I was doing research for the book, what caught my attention was the constant references to children, countless numbers of them who lived on the city streets. To begin, there was no room for them in the tiny tenements. Moreover, these young kids were often abandoned. Most interesting to me, these kids, being the children of immigrants, quickly became assimilated (for better and for worse) into American ways, distancing them from the ways and culture of their parents. 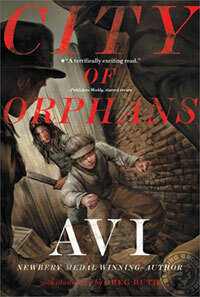 Indeed, they are referred to as “orphans with parents.” Hence the title of the book, City of Orphans. The Geless family, the Danish immigrant family at the center of the book, struggle to keep together, midst all the hardship, to be loving and caring to one another. And even—not at all uncommon in the day—taking in an abandoned child because that’s what one did. When I read about those times I was struck by the vibrancy of life, just as I was moved by how difficult life—assuming one lived—was. What I tried to capture was the enormous energy of that day, and the surging emotions that must have also been part of each day. Some books, you enjoy writing. This book I loved. 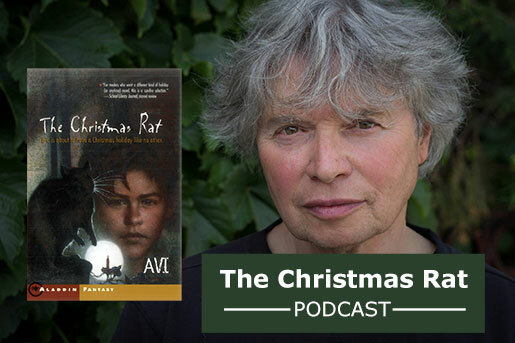 Listen as Avi reads the beginning of his novel The Christmas Rat. Not your usual Christmas story, this thriller takes place during Christmas vacation. With nothing better to do, Eric joins Anje, the exterminator, on a mission to destroy the rat living in the basement of his apartment building. But as Christmas Day draws nearer and the temperature outside keeps dropping, things in the basement go from weird to deadly. And Eric learns how valuable life truly is. Are there only two kinds of fiction? I have been asked to do (and accepted) some lecturing at UCLA on the subject of historical fiction. Let us consider the first item. 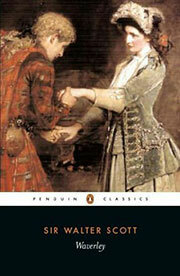 Most literary historians consider Walter Scott’s novel, Waverly, the beginnings of English language historical fiction. Because he set his story sixty-five years prior to his writing, there is a canonical notion that sixty-five years delineates “contemporary fiction” from “historical fiction.” Debatable on all points, but these are useful markers. I have always—after many tries—found Waverly unreadable, but I like it that the main railway station in Edinburgh is named after the novel, one of the few historical fiction facts I can mention in my lectures. The point is I am going to be hard pressed to talk about my writing of historical fiction in an academic context. I do not know much about it, except that I do it. Yes, I read a lot of history. I know how—being a former research librarian—to do research, but in the main my approach to writing historical fiction is … I find a way to tell a good story. 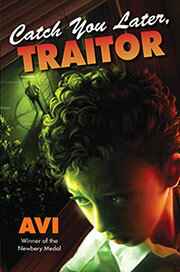 And indeed my forthcoming novel, Catch You Later, Traitor, is based in large part on my memories of that time. It takes place sixty-four years ago. Does that make it historical fiction or contemporary fiction? Which brings me to the second item cited above: My new novel will certainly be historical fiction for that young reader, but not for my contemporaries who lived through the same period. These days, most people know history to the extent that they have lived it. We are not a historically-minded society. Not only do most of us know little of history, we have short memories. Concerning writing, that works for me. 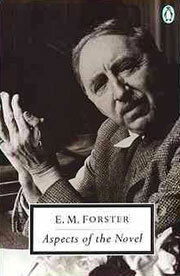 Not exactly a Thanksgiving message, but what I quote below is from E.M Forster, a writer, and man I greatly admire. His Aspects of the Novel, is a fundamental primer for anyone interesting in writing a novel. I do not know where this comes from in his voluminous work, but I am happy to pass it on as a Thanksgiving (or any day) thought. 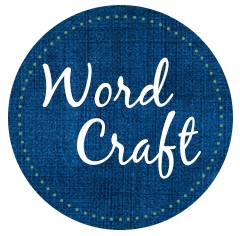 Ever since Sir Walter Scott invented historical fiction with his novel Waverly (1814), there have been many kinds and definitions of the form. One of the questions that comes up repeatedly is historical accuracy. It is a complex question and usually has an equally complex answer. One can try to be accurate, but it is almost impossible to be completely accurate. Start with language. My Crispin, takes place in 14th Century England, at a time when Middle English was spoken. Never mind that I cannot write Middle English, my readers could not read it. Therefore, I tried to give the prose a poetic beat, to approximate a Chaucerian voice. Different, but readable. In Sophia’s War, in which 18th century colonial English is spoken, I tried to employ word usage of that day, to suggest a voice from that time. Thus “Shay-brained,” for silly, or “hurly-burly” for commotion. In addition, it was useful to be aware that colonial English could be different from, say, London English of the time. Maybe my readers will not catch that, but it is meaningful to me as a writer. My approach is to try to differentiate the historical time from the present time by showing how characters thought in such and such a time, even as I reveal a physical world that is not the contemporary world. That said, emotions, motivation, and personality must be recognizable to my readers today. In short, one wants to avoid potheration (18th century English for confusion) while making the book upstirring (18th century English for stimulating). I recently received a bunch of letters from a group of fifth graders whose teacher read them Captain Grey. This book, my first historical novel, was published in 1977. That’s to say it was written some thirty-seven years ago. I have strong memories of how and where I wrote Captain Grey, but in truth, I have few recollections of the book’s details, other than the general plot. The kids’ letters name characters, and recall incidents, which I’ve long forgotten. What a pleasure to know they enjoyed the book so much. In that sense, I think the book belongs far more to them, now, than to me. Still, it’s lovely to be reminded that old books are always new books to new readers. In this sense the books I once wrote have a kind of eternal youth, which, I can assure you I have not. Can you hear my sigh? I am envious of my old books! Contemporary readers raised on TV, film, and video game narration don’t give the writer much slack in the opening of a novel. The impact of those other forms of storytelling has been enormous. Compare today’s fiction to virtually any Victorian, or even early 20th century fiction, and you will be struck by how different is the pacing of a book’s first pages. I used to joke that my youngest son (now 23), raised with the modern mix of narration, thought the perfect plot was three explosions connected by a chase. I believe it was Madeline L’Engle who referred to the first words of a novel as “an opening door.” I’ve also heard those words called “the hook.“ Years ago I read the memoir of a man who (in the 1930s) was a contract writer of a popular book series, when a series numbered fifty volumes. Virtually all plots of the books were pre-formatted, but he still spent a huge amount of time on the opening page. 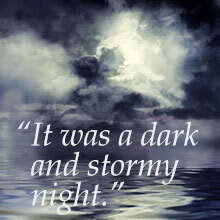 “If I couldn’t hold them on the first page, I’d never hold them.” Then, there’s always “It was a dark and stormy night,” the opening words of Edward Bulwer-Lytton’s (1830) novel, Paul Clifford.